Michael Howald is an associate in the Commercial Finance practice. 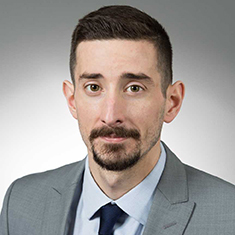 Prior to joining the firm, Michael was a capital markets and bank lending associate at a large New York firm that was consistently ranked by Bloomberg as a leading advisor to US high yield bond underwriters and lead arrangers in leveraged loans. While attending law school, Michael was an associate editor of the University of Pennsylvania Journal of Business Law.